For lacquer based finished tables: 2 pack Polyurethane and 2 pack acrylic finish. Wipe after use with a damp rag in the direction of the grain to remove finger prints etc. Best to use a clean dish cloth with warm water and a spot of detergent. Squeeze as much water as possible from the cloth before wiping. Dry with a soft cloth again in the direction of the timber grain. Do not use waxes or oils with lacquer finishes. Same as for lacquer finishes. 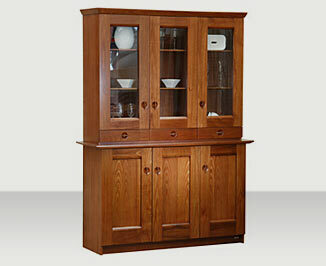 This timber cabinet is constructed of Blackwood timber. Chess has the inlaid cross grain square featured in all timber tops. 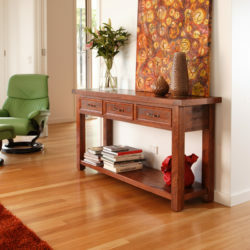 Customers can select from a wide range of timber stains from our range or matched to a sample. The stain shown is Medium Blackwood SW03.